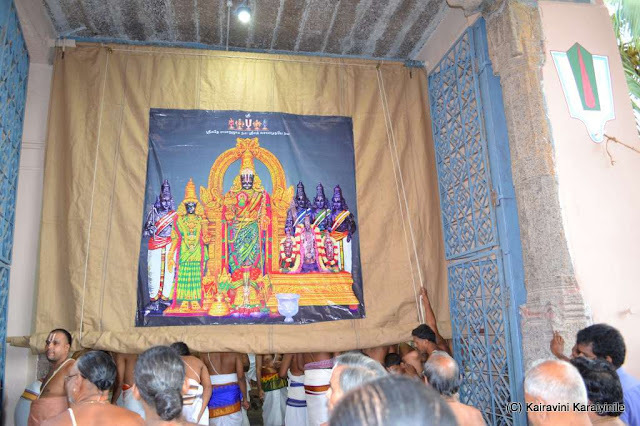 After the Samprokshanam, there is more festivity at Thiruvallikkenidivyadesam. 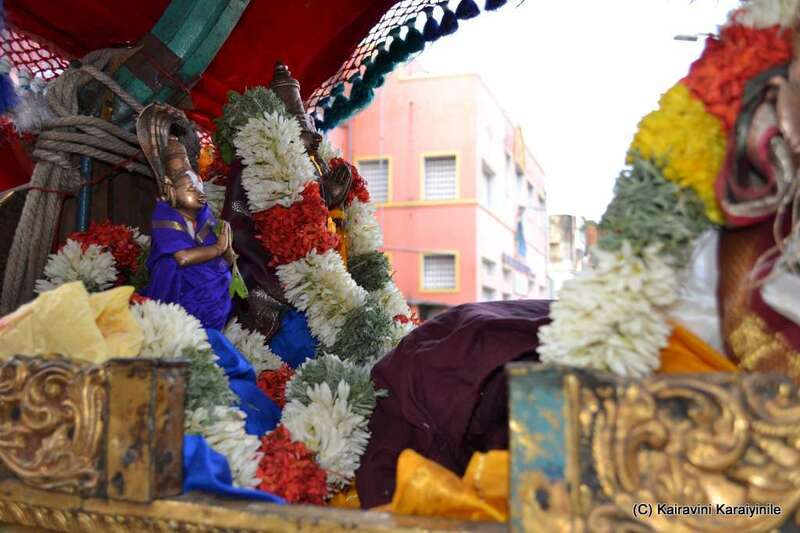 The grand Brahmothsavam for Swami ThelliyaSingar [AzhagiyaSingar] commenced this morning ~ Friday, 26th June 2015. Yesterday, it was Ankurarpanam and purappadu of SenaiMuthaliyar. This morning – the Uthsavam started with dwajarohanam. It is firmly believed that during the Uthsavam lakhs of Devas visit the divyadesam where the celerbations are taking place, and every day both in the morning and in the evening – there will be bali (ritualistic offering taking care of such guests). There was purappadu of Nithyasurigal – Ananthan, Garudan, Vishwaksenar and Chakrathazhwar in pallakku for ‘bali’ in eightpeedams in 8 directions. 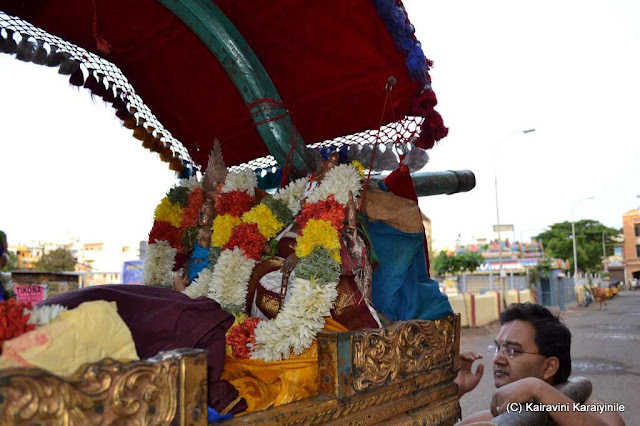 Triplicanites are feeling happy and all bakthas are invited to be there, have darshan of Perumal in the morning and evening. 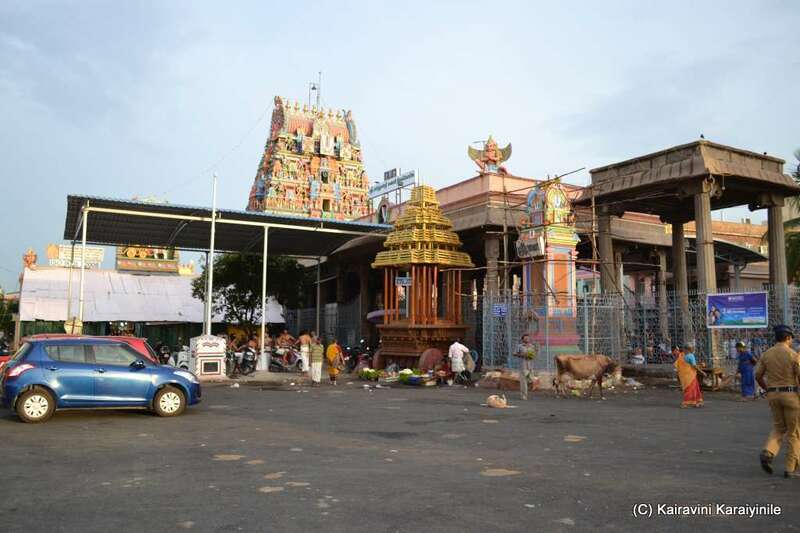 Of the important Purappadus - Garuda Vahanam is on 28th June [Gopura vassal darsanam @ 05.30am]; Yoga NarasimharThirukolam in the evening of 30th; followed by Hanumanthavahanam; on 1st evening – Yaanaivahanam; Thiruther is on 2nd July; Kuthiraivahanam on 3rd July. 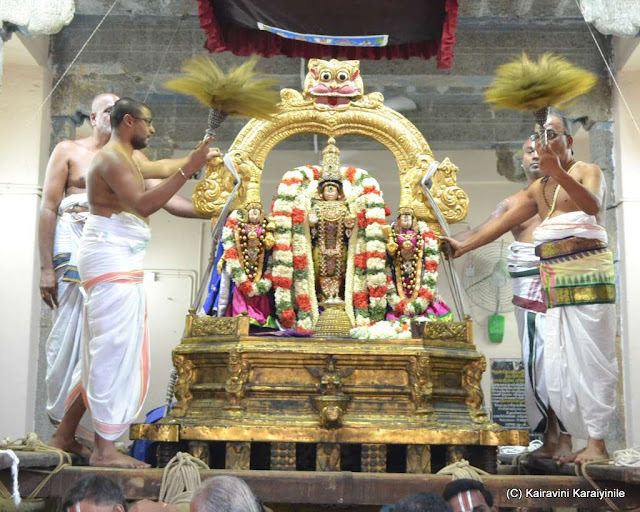 Sapthavaranam and siriyaThiruther on Saturday, 4th July.